SmartCodestudio Community Edition is a useful tool for label design, business cards printing and RFID (Radio Frequency and Identification) encoding. 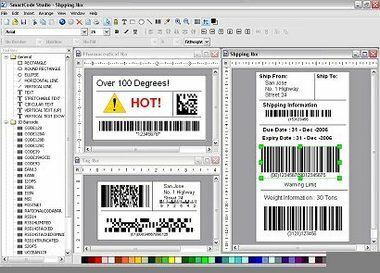 It is the free edition of the award winning barcode software SmartCodeStudio. 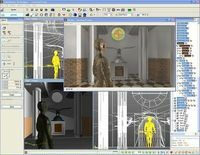 It provides powerful features like WYSIWYG design, Image Acquisition, Image/Vector graphics, Rich Text, Circular Text, Advanced Print Management, Autofit Text and International text. The user interface is also highly intuitive and easy to use. To assist in the design of labels, SmartCodeStudio also comes with one of the industry largest and expandable Label Stock Database. The Stock Database stores the dimensions of many different labels, and greatly simplifies the task of label design.